The City has a Council-Manager form of government. The City Manager is appointed by the City Council and is responsible for the day to day operations of all aspects of city government. The City Manager provides support to the City Council and prepares the budget. The City Manager responsibilities are specified by the City Charter. 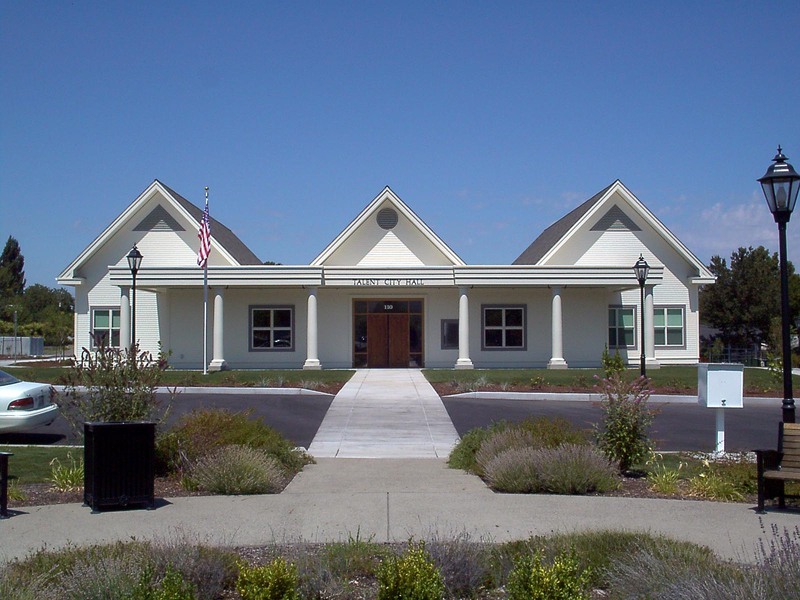 The City Manager's office is staffed to provide support to all City sponsored volunteer activities including the annual Harvest Festival and oversees directly the use of the Community Center. The Finance Department is responsible for providing accounting and financial management services for the City. The Finance Department serves other city departments and the public by processing all accounts payable, payroll, utility billing, cash receipting, accounts receivable and general ledger activity. Primary functions include overseeing the annual audit and preparation of the Annual Financial Report, preparation of the annual budget, and ongoing monitoring of the budget throughout the year. The Department includes the Finance Director, Assistant Finance Director, Accounting Clerk, Utility Billing Clerk and Receptionist. The City Recorder serves as the custodian of records and elections official for the City of Talent. Click HERE to visit the page for the Office of the City Recorder. Legal services are provided to the City under contract with a private attorney. These services include legal advice to the City and all contacts to the Attorney are made through the City Manager and/or City Planner and under certain circumstances through the Mayor. Court - Fines are set by the Judge based on adopted City Ordinances and /or State law.